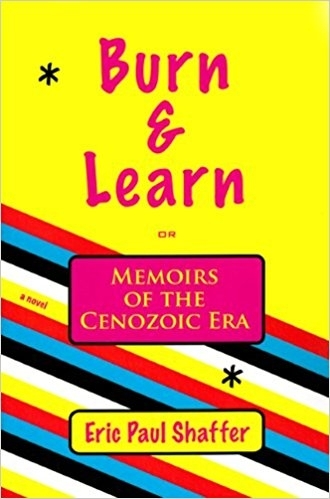 If Kerouac were alive today, he would be updating his status on Facebook every three minutes, and the literature he would be creating would look very much like Eric Paul Shaffer’s Burn & Learn: Memoirs of the Cenozoic Era. Even so, the use of the term Cenozoic has confused at least one Facebook user, who posted on Shaffer’s wall, “Wow! You are really, really old! A dinosaur,” only to be informed that the Cenozoic Era is, of course, our current era.